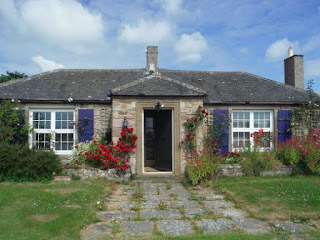 Mains Cottages offer wonderful self catering accommodation in Beadnell, Northumberland. The three propertiesoffer the perfect coastal retreat for a memorable holiday away. All of the properties are dog friendly, so your four legged friends can join you on your holiday! 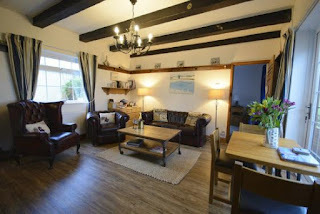 The Bothy sleeps 4, Shepherd's Lodge sleeps 6 & the Shepherd's Cottage can sleep up to 10 guests, so whatever the size of your party you will find spacious & comfortable accommodation. Beadnell is perfect for enjoying a range of activities: walks, water sports and historic castles to name a few. Seahouses is just few minutes’ drive away and from there you can take boat trips to the bird and seal colonies on the Farne Islands. You will also find the Longstone Lighthouse on the islands which is famous for a dramatic sea rescue by Grace Darling our local heroine. Many great days out are nearby too, with someone for everyone to enjoy.